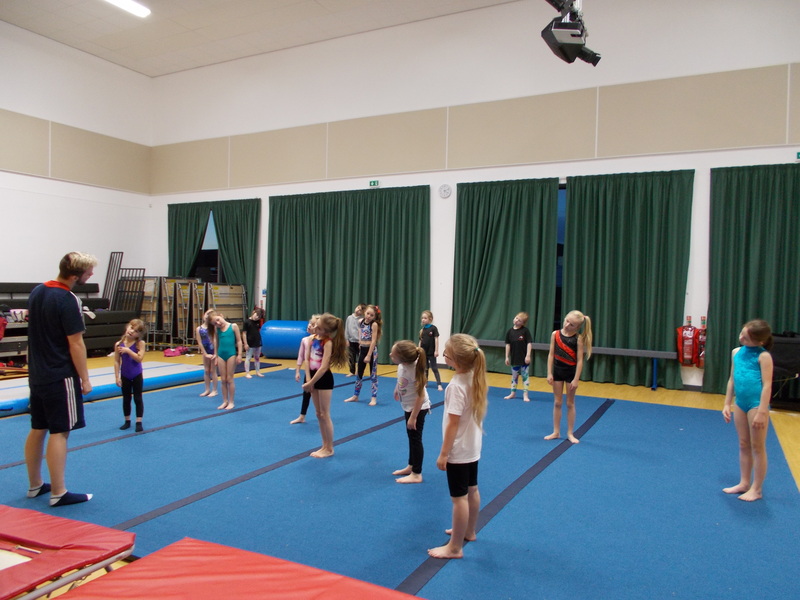 Gymnastics Club is open to children from Reception to Year 6. 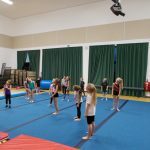 With three classes on a Monday night after school – Beginners Class is predominantly for children in Reception, Year 1 and Year 2, or for children who have never done any gymnastics before. Intermediate Class is predominantly for children in Years 3 and Year 4. This class is a progressive class where the gymnasts are doing more difficult moves. Advanced Class is predominantly for children in Years 5 and Year 6. This class is for gymnasts who are working towards tumbles and connecting moves. All gymnasts are working towards their British Gymnastics Proficiency Awards. Gymnasts are also working towards the Key Step Competition where they compete against other Sunderland Schools in both teams and individuals. Teams that place first on floor go on to compete in the Tyne and Wear Summer School Games. We have had gymnasts going to the finals since 2011! 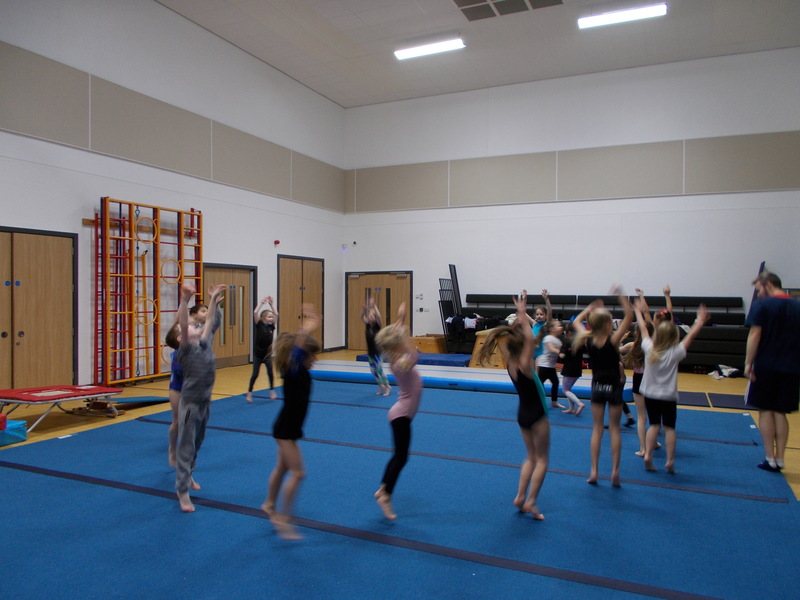 Parents are invited into school during the Summer term to watch the Gymnastic Display performed by all gymnasts and to see how well their child has progressed. 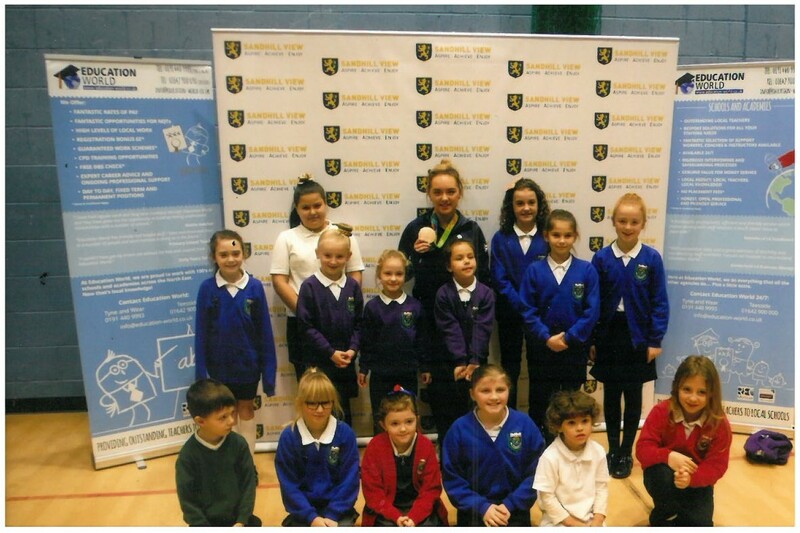 We have a wonderful squad of gymnasts this year, a total of 65 gymnasts. 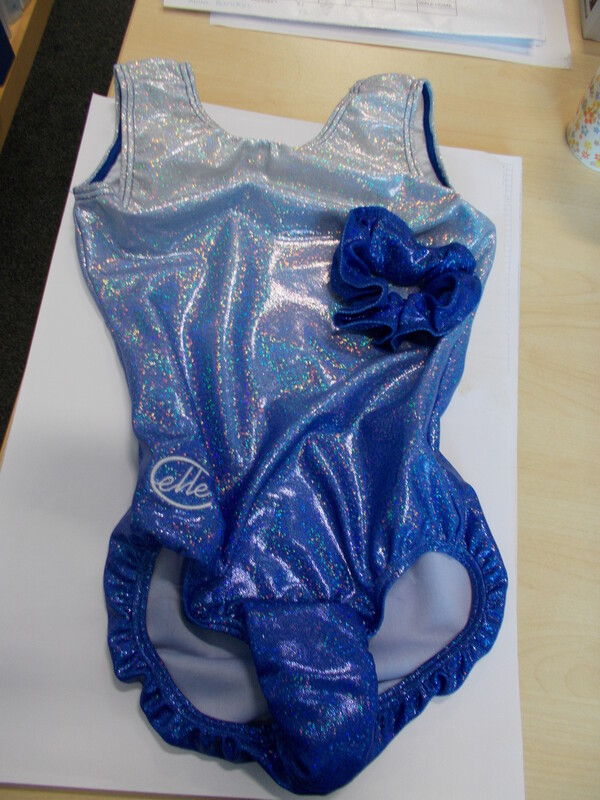 We recently designed our new school gymnastics t-shirt and this is available to purchase at £7.00, plus our new gymnastics leotard for this year at £20.00. Order forms can be obtained from the school office. 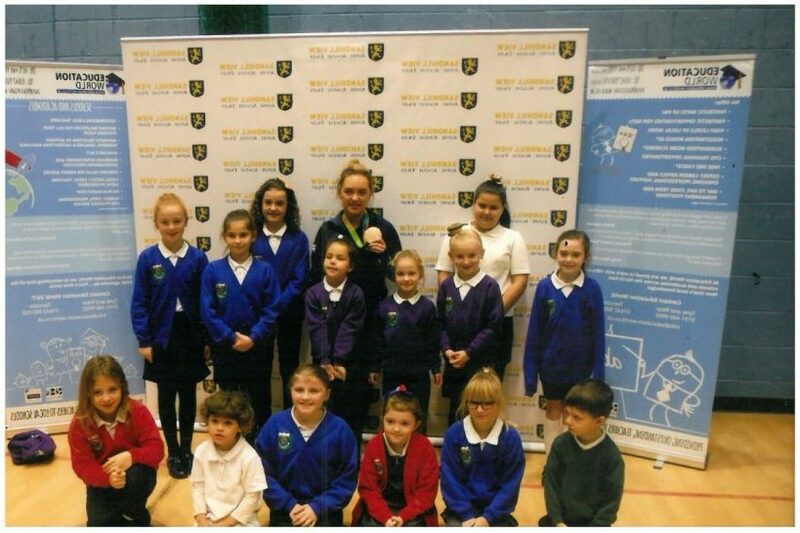 A selection of our gymnasts were picked to met the Olympic Bronze Floor medallist – Amy Tinkler recently. They were treated to a demonstration on the floor, the video of the winning routine and a question and answer session before getting a group photo with Amy herself (see photo below). 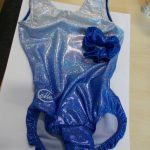 We have also been given the photo and signed autographs for the gymnasts and enough signed autographs for all the gymnasts in the gymnastic club.